Started in 2009, The Center for Artistic Activism is a research and training institute dedicated to artistic activism. The first rule of guerilla warfare is to know your terrain and use it to your advantage. Today’s terrain is one of signs, symbols, stories, and spectacle. Here, activism gets stale. Political action doesn’t exist in a vacuum of enlightenment ideals and rational actors, it works in a cultural context. Our programs at the Center for Artistic Activism train both cultural workers and grassroots activists who strive to be more effective in affecting power. 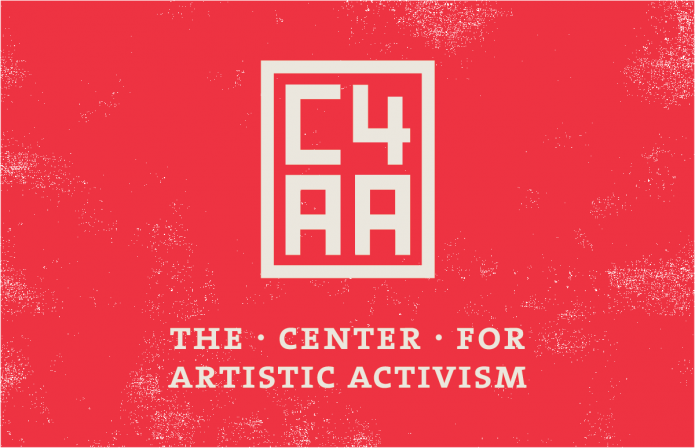 The C4AA was co-founded by Stephen Duncombe and myself after working on the New York Times Special Edition. It launched as a research project at Eyebeam, and later became a one-time education program, The College of Tactical Culture. Shortly after we began doing workshops around the United States, and established as a 501.3(c) non-profit organization. As of 2016 we’ve worked with over 500 artists and activists in more than 25 workshops on 5 continents, in 9 countries.